55 gallon barrels that are 100% food-grade. Each rainbarrel has a heavy duty screen installed over the top openings on the barrel, and an additional screen that we provide in case you want to add another layer on top of the rim. We also install an overflow spout and a faucet to make removing water or connecting multiple rain barrels easier. 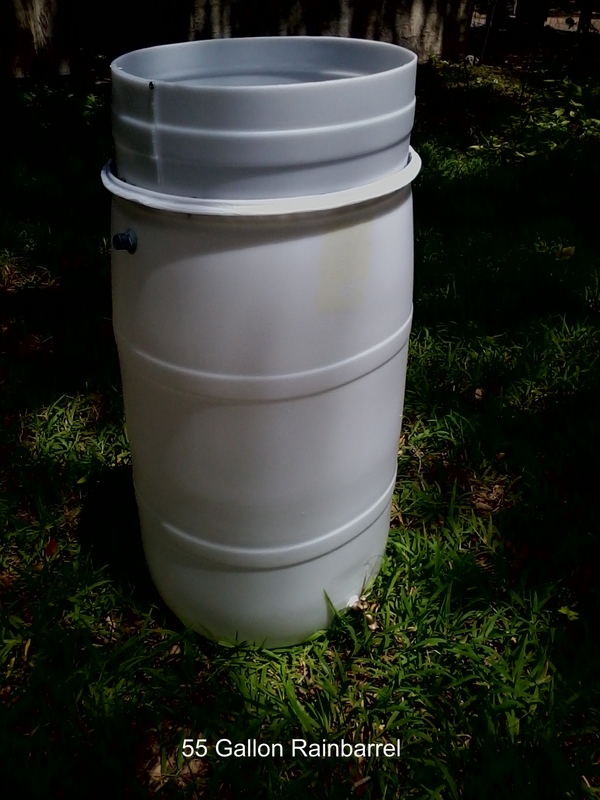 In addition, two caps come with the rain barrel in case you would ever like to seal the barrel. The white barrel itself is easy to clean and paint and can make a beautiful addition to your garden. Bulk discounts and quantity orders may be arranged.